Not Sure What a Quarter of Beef Looks Like? Walsh Farms is now taking orders for 2019! 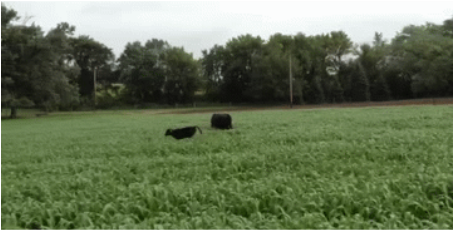 The Walsh Family Farm offers quarters, halves, and wholes of Pasture Raised Angus Beef. 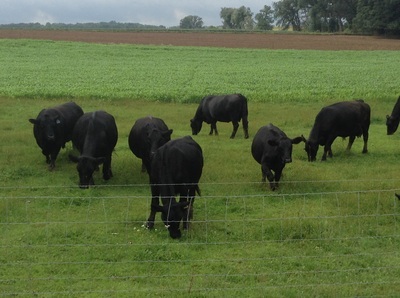 Walsh Farm's Pasture Raised Angus Beef are never given hormones or steroids and receive daily exercise on pasture. Buy local and have the knowledge of who you are purchasing your meat from! Our beef cows are bred to calve in the spring of the year so the calves are able to utilize the lush spring grass to get a great start. The calves are weaned in the fall and moved to another pasture where they are able to fatten up on all the grass, corn, hay, and fresh water they care to have. They are able to soak up the sun and roam around on the same pasture that has been supporting Walsh Angus for decades. 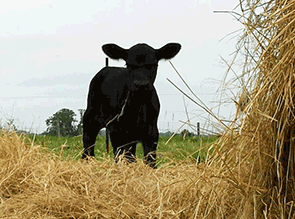 Our beef are typically ready to harvest in the fall of the year (at around 16-18 months of age). We process our beef by local, state-inspected Country Pride Meats, Clinton, WI. We sell our beef by the hot hanging weight. Our customers are responsible for contacting Country Pride with cutting instructions and arranging for pick-up of the meat. Payment is due prior to picking up the meat. Click here to look at the cuts. There is a $100 deposit/quarter to reserve your beef. Reserve Your Pasture-raised Angus Beef Today! Please enter either an email or phone number so we can contact you.